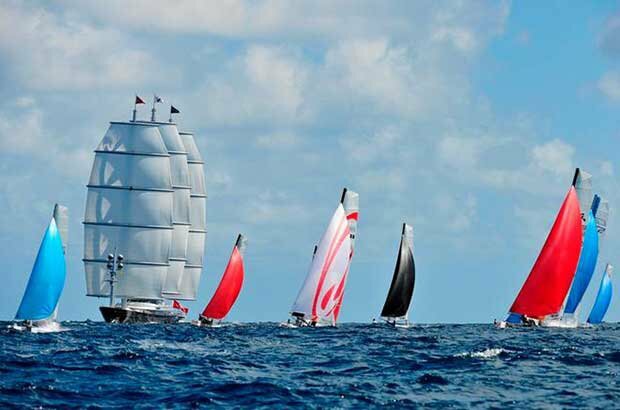 The Saint-Barth Cata Cup will celebrate its 10th anniversary on November 13-20, 2017. To make it a truly great event, the organizers have decided to offer wild cards to all duos that have won this regatta since it was created. Intrigued by the idea to team up again with their winning partner—for some as many as nine years later—and one again compete in the waters of the Caribbean, the sailors who took first place between 2008 and 2016 will all be returning, with the exception of John Casey, who has been unable to confirm his participation. His former teammate, American sailor Dalton Tebo, will be present, partnering with Charles Tomeo, alongside such duos as Emmanuel Boulogne/Tanguy Kervyn, Mischa Heemskerk/Eduard Zanen, Enrique Figueroa/ Keki Figueroa, Franck Cammas/Matthieu Vandame, Morgan Lagravière/Arnaud Jarlegan, Patrick Demesmaeker/Olivier Gagliani, Pierre Le Clainche/ Antoine Joubert, and the 65 tandems selected at random from the 90 pre-registered. This 10th anniversary Cata Cup promises to put on a great show with serious battles for first place out on the waves! “A 10th edition is a milestone. That’s why we decided to really mark the occasion. The idea to bring back the former winners came about naturally and we are very happy to have had such a favorable response from most of them,” explains Thierry Lhinares, president of the association St Barth Multihulls, which organizes the Saint-Barth Cata Cup. Emmanuel Boulogne, Tanguy Kervyn, Mischa Heemskerk, Eduard Zanen, Dalton Tebo, Enrique et Keki Figueroa, Franck Cammas, Matthieu Vandame, Morgan Lagravière, Arnaud Jarlegan, Patrick Demesmaeker, Olivier Gagliani, Pierre Le Clainche, and Antoine Joubert: all the winners have accepted the invitation, with the exception of John Casey, as noted. “Things are shaping up very nicely, however we had more than 90 requests for pre-registration. As stipulated by the rules of the race, there are only 60 slots available. This year, we decided to push that number to 65. The drawing for slots was held on May 3,” says Lhinares, who is happy to report the ever-growing success of this event since its first edition in 2008. 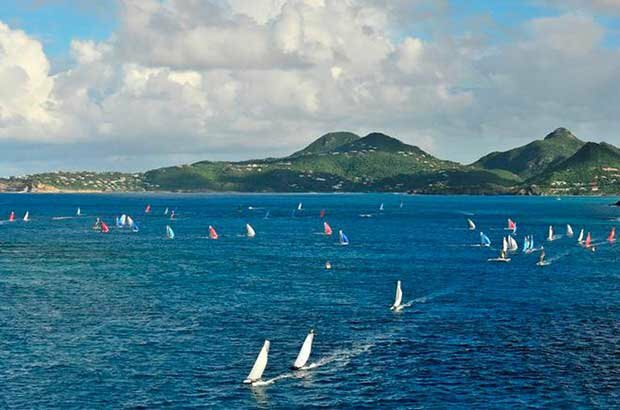 “La Saint-Barth Cata Cup is perfectly placed on the calendar and allows, on one hand, the sailors to complete their season under the tropical sun, and on the other hand, the event kicks off the tourist season on the island. But clearly what pleases people the most about the event is its concept and its atmosphere, with great races out on the water and fun parties on the shore,” Lhinares adds. Those who have already participated in the race will not contradict its success. 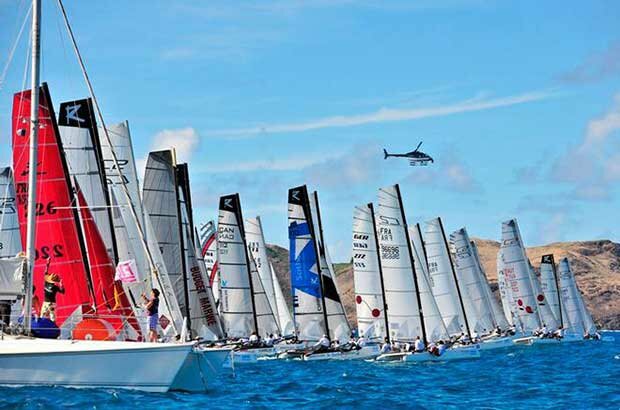 “Antoine Joubert and I took part in the Saint-Barth Cata Cup for the first time last fall. We had a great time. The navigational conditions are ideal, the event is perfectly organized, the spirit of Saint Barth is terrific, and far from being trite, the level of commitment is high and the roster very international, ” comments Pierre Le Clainche, first-place title holder who has unforgettable souvenirs fro his trip to the island, and who would not miss the 2017 edition under any circumstances. “Last year, the race surpassed all of our expectations. The 10th anniversary looks like a major event is shaping up with all of the former winners,” Le Clainche, who will compete against such stars as Belgians Patrick Demesmaeker and Olivier Gagliani, who took third place last year but were the winners in 2015. “I just saw the list of those who are participating and am pleasantly surprised to see that all those who have won since the beginning of the event responded positively. At present, I am curious to see what will happen on the waves, but I am certain it will be something exceptional,” adds Demesmaeker, who with Gagliani, has not missed one year since his first appearance in 2009. 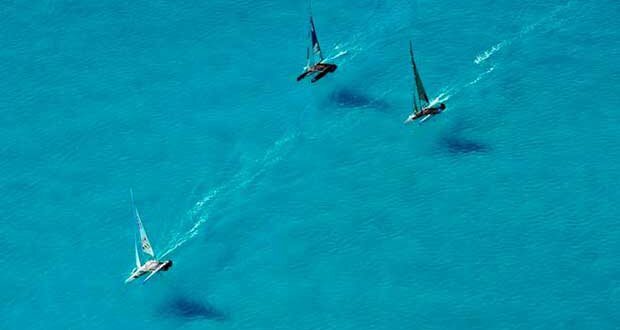 “With Trois Pommes (Olivier Gagliani’s nickname), we have sailed together for many years, but for the past eight years, we got together only at the Saint-Barth Cata Cup. It’s a race to which we are very attached, as we like to sail in Saint Barth, we appreciate the very convivial ambiance of the event and we have made many friends on the island over the years,” adds one of the most loyal sailors in the race. And to date there is but one sailor who has not missed a single edition of the Cata Cup: Emmanuel Boulogne. For Boulogne, winner of the first Cata Cup in 2008, there is no way he could have stayed away from this year’s major anniversary: “I find the idea of bringing back all the winners to be superb and I think that the Saint-Barth Cata Cup is one of the only races to do such a thing. The fact that almost everyone responded favorably is a lovely gift for the organizers, but it is also a well-earned reward for such a great event, ” relates this sailor from the north of France who created and developed the Cirrus F18 since 1997 in Gravelines. Also confirmed, after an absence of just two years, are Franck Cammas and Mathieu Vandame. First in 2013 and second in 2014, these two sailors are going to participate together in the 35th America’s Cup in June aboard the AC 40 Groupama Team France, have added the Saint-Barth Cata Cup to their end-of-year schedule. “The event is fun, thanks to its ambiance, its setting, and its weather conditions,” adds the skipper of Défi Français, who is not unhappy with the idea of returning to the Cata Cup. “This will be fun for Matthieu and me. Our goal is to have fun but we’d also to like to win a second time,” indicates Franck, who would like to match the Dutch duo of Mischa Heemskerk and Eduard Zanen, the only team, to date, to have won the Cata Cup twice, in 2009, and again in 2011. “We came very close to winning in 2014, other than a capsize in the last race. The last time we participated we had a good battle with Morgan Lagravière and Arnaud Jarlegan. This will be our chance to get revenge. In addition, racing with Arnaud, who is also part of the Groupama team for the America’s Cup, will be fun,” adds Cammas, who will also be competing against Puerto Ricans Enrique and Keki Figueroa, winners in 2012, as well as Dalton Tebo, winner in 2010, who will sadly not be able to race with his former partner John Casey, with whom he had won first place, as well as two second places in 2011 and 2012. This time he will sail with Charles Tomeo, as he did last year, when they finished 10th, and hope to do better this time. Quite the challenge there is a lot of competition among the 65 duos pulled at random from the 90 that hoped to race. In short: this 10e edition looks especially promising. Raising the bar higher than usual!